I’m always excited when authors I enjoy launch a new series because it feels like the start to an adventure and I never know quite what to expect. 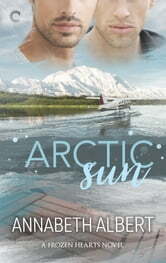 Arctic Sun had that adventure feeling throughout with both main characters in this slow burner finding a bit more of themselves while on an outing in Alaska. I love the way this opposites attract coupling matched up with Griffin leading a photography tour group that includes ex-fashion model River, who’s writing a book depicting his travels. I’ve always been a fan of the heroes who appear grumpy and standoffish on the surface because it give the reader a chance to see their personality emerge. What surprised me was how I got that from both characters, with River putting on an outgoing, breezy air to hide his own personal battles. 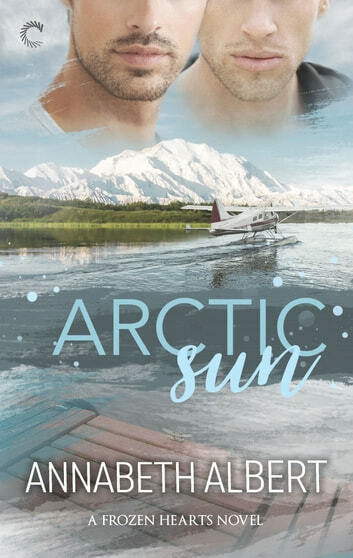 Containing a bit of a hurt-comfort theme, Arctic Sun wades through a good amount of angst, but I enjoyed learning about Griffin and River and seeing them fall for one another and grow personally as well as a couple. The writing in Arctic Sun was great, not only transporting the reader to the setting but conveying the myriad of emotions Griffin and River dealt with as they tried to find a way to make their two worlds align. I also liked that the pace of the romance reflected the time these two needed; it felt real and substantial by the end and definitely worthy of that happy ending. Fantastic start to a new series.